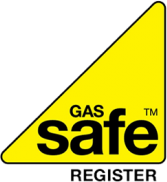 Gas Connect provide affordable central heating cover plans to our customers. We swiflty resolve any problems you may have with your central heating should a breakdown occur so you never need be without heating or hot water. Our annual checks and servicing means your central heating remains safe and working. Choose one of our boiler cover plans and excess level below to get started. Why choose Gas Connect as your local company? As a local company to you we are able to look after our customers with the personal touch, as part of this service we have experienced engineers at our office that can discuss the problems directly with you over the phone, this helps us to understand the problem and in a lot of cases our engineers can bring the correct part with them, this can cut down on the amount of time you are without heating and hot water. We can also have a number of instances where we are able to advise you how to get your system up and running over the phone before we send an engineer out to check the system over. Overall our aim is to give all of our ‘Maintenance Cover’ customers a first class personable service. Our staff and engineers are honest, reliable and professional, the sole objective is to give you peace of mind when you need us the most. Annual Boiler Service All our cover plan includes a full annual boiler service, we will contact you on the anniversary of your service by sending you a reminder letter and if needed we will follow this up with a phone call to make sure your service is carried out each year. Controls Most customers are concerned about their boiler going wrong, but are unaware that the controls on your system are just as an important feature as the main boiler, for example if your programmer, room thermostat, pump, motorised valves were to stop working so would your boiler and therefore leaving you without heating or hot water. This cover plan covers you for any call outs and parts & labour to repair or replace these items to get you system working. 24hr Contact Number We think customers main worry is will they be able to contact an engineer when you really need one, with this maintenance contract our main office is always open for you to contact 8.30am to 5pm Monday – Friday, any other time of the day or night you will have our special out of hours contact telephone number so you can contact us in the evenings or through the night and at weekends, this also includes bank holidays and over the Christmas period, basically 365 days a year and 24hrs a day. We have a great first fix ratio of over 95% on first visits to our customer’s homes. If you need repairs you will have access to our dedicated engineers for your local area. We aim to reach you on the same day and our engineers are guaranteed to turn up when they are supposed to. We always replace your existing items with well known good quality products as an example: Honeywell or Drayton controls, Grunfos pumps, Stelrad Compact radiators and we use all copper pipework and fittings. Our engineers carry most of the regular parts that you would need to repair your heating system. If you require any other parts we have accounts with all the main local suppliers including the large national stockists that are in your area. We are normally able to source these parts the same day and if they are out of stock the parts can be ordered for a next day delivery. We pride ourselves on being able to source parts quicker than any other maintenance cover company in your area. With a Gas Connect Cover Plan, all costs are included. There will be no hidden labour fees, call out charges or additional charges for parts (see our terms & conditions). If you have an emergency, you can contact us 24 hours a day, 365 days of the year. Radiator valves Your system will have standard radiator valves and in most cases thermostatic radiator valves, if you have any issues or leaks these valves are covered all parts and labour with no call out charge. Central heating pipework The pipework from your boiler to all of the radiators will be covered for all parts and labour. Plumbing This means we will cover all the hot and cold pipework within your property for leaks and problems. All parts and labour is included. Taps, toilets & showers Any problems with your taps, toilets, showers and sinks, this plan will cover you all parts and labour to try and fix the issue. In some cases these items cannot be repaired, in this case would charge you for the cost of the item i.e. a tap, we would install this with no charge for the labour. Drains All waste pipes from your sinks, showers and toilets would be covered for blockages, this also includes any blockages to your outside drains that are within our boundary line.